NB: eSteem mobile v1.5.0 update is coming in few days with exciting changes, bug fixes and improvements. This is cool! Thanks for doing this and giving some recognition to those who deserve it! It's really awesome that you're giving back to the community in this way. Oh yes, I hadn't taken those into account! Yeah, I'm with you here. The last thing we need is more clutter. 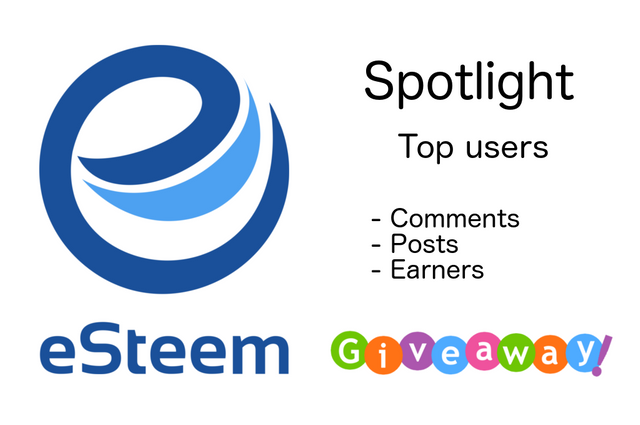 I do love the Steemit incentives to create posts, and to leave comments, but there's got to be a way to reward quality rather than quantity. Congratulations to you the best through the application esstem, thank you @good-karma has given us the spirit to continue to achieve success with you. Hopefully we will continue to see the best works of the winners in the application esstem in the future. For esstem users who have received SBD gift from our witness @good-karma. Continue to work, because we will always miss the best works of friends esstem users. Congratulations to you who are selected as winners, hopefully others can follow in their footsteps, da keep trying to be the best, because @good-karma as a witness will continue to give us passion through his gifts as well as his cool apps, thanks @good-karma that has given us the spirit. Its initiatives like this that made me vote for you as witness. Great job on esteem, using it now. Thank you @good-karma has brought us passion! This is a very good thing and I think it will further advance esteem. I have not done my activities through esteem and with a fast time I will follow and take this step to do posting on esteem. This is good information and for me in this esteem it seems to give more about our careers and hard work. Thank you @good-karma and your team all. eSteem Greatly facilitate me in posting, quite simple, thank for @good-karma,And hopefully better future development..
Wow, I hadn't even heard about eSteem, so I must thank you for this post! I checked out the FAQ link and will be continuing my reading shortly but definitely needed to drop a thank you to everyone involved in this project. A mobile app will make Steemit more user-friendly to those more comfortable using an app as well, which I feel like is a large chunk of the younger generation. Back to reading about eSteem, thanks again! You completely made my day!! It has been a week of many discouragements and this has convinced me to keep on esteemin! Thank you. and nice comment... will start using esteem so i get your attention! Thanks, Ken! Looks to me like you are doing great here! Stop by my page anytime though. I love making new friends! Been wondering about this, downloading the app now! will download and start using esteem today... you the best! Thank you so much for this wonderful app. It makes posting so easy! I posted a few photos from my phone and now it will not let me post any more. Is there a limit on how many photos it will take? Hey @hashclouds, no there isn't any limits. Would you please elaborate what error you get if any? I was able to post one just now. Last night, when I clicked on the photo in my gallery to add, it kept resetting the program. I tried various pics in case it was just that one, but none of them worked. Thanks again @good-karma for another great post. Upvoting you. thankyou @good-karma i am one of a fan of esteem thats why i always use it when i post.happy to be in 3rd place. Some work to do :-) But nice "work" is good to be busy with :-) Thanks !! Always good to see this positive news about eSteem and its growing user base. Have to use it more. I very much enjoy eSteem. 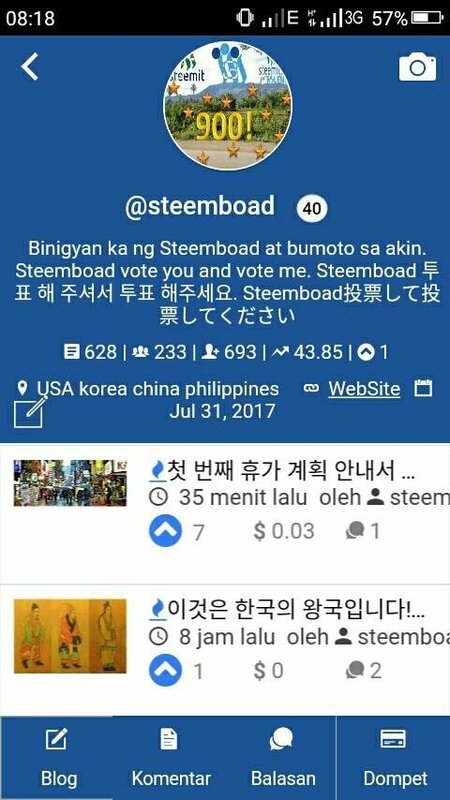 Having the ability to keep up with Steemit while mobile is such a great benefit for a social media platform. I have just followed and am excited to participate in eSteem community discussions and feedback. The mobile app is great. I can post pretty advanced articles straight on the phone. Makes me more consistent. Congratulations friends who have been elected. Thaank you for sharing this @good-karma. Awesome work @good-karma, love that good guys like you are a part of the community. please help @good-karma when i try to post through this app it shows broadcast error bandwidth limit reached... please tell what i will do.. Thank you for eSteem. Very thank you. Can funds be transfered to steemit? Number one sure is killing it! That is a lot of comments and blogging for just a single month. Always nice to see a user created application is this successful. How many active users did you average for the month if you don’t mind me asking? Do you have a specific date for the next Android release? If my phone is setup for auto updates will I be notified when your new revision hits the Play store? Cool ! We meet again lol . Hope you do the same for me.